Avoid wrongful termination claims to uphold your reputation as an employer of choice, maintain trust and cohesion with your remaining employees following termination, and avoid nuisance and other unwarranted, unwanted lawsuits. You maintain safety from losing wrongful termination lawsuits by treating employees legally and fairly when you end their employment for whatever reason, whether financially-motivated layoffs, performance problems or more. As an employer, it is your responsibility to protect the best interests of your business and of your remaining employees. Generally, an employee who is fired is angry, unhappy, and looking for someone to blame when his or her employment ends. The employee must face questions and concerns from family members and friends, who may never have been informed that the employee was experiencing performance problems and performance coaching at work. Nor does the average employee come home and share all of the mistakes she has made or the problems he is experiencing with performing his work or carrying out his responsibilities. Sometimes, employees even delude themselves into believing that, while performance issues have been drawn to his attention, they are not that serious. In fact, normally an employee will hide his or her performance problems from family members. It allows the employee to save face, make excuses, and generally, deny responsibility for their ultimate employment termination. It leaves family members more surprised than the employee if the employee is honest with himself when employment termination occurs. So, family members and friends tend to believe that the big, bad employer was the enemy and the problem. This support fuels the thinking and feelings of the already upset employee who no longer has a job. Employers are not generally faced with wrongful termination charges that will find them liable unless their actions are illegal. No matter how much the termination may feel unfair or unwarranted to the employee, or his family members, that does not make the employment termination either illegal, unwarranted, or wrong. 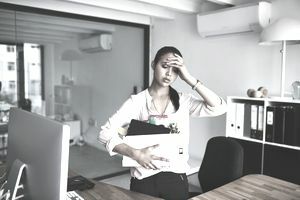 Employers, in most states, adhere to employment at will standard in which the employer has the right to fire an employee and an employee has the right to quit his employment—at will. for no cause or any reason at all. Breach of contract: the employer has a legal obligation to uphold all components of an employment contract, union-negotiated or otherwise. Most employment contracts have employment termination clauses which the employer must honor. Breach of implied contract: the employer must take care that the company does not imply in writing or verbally that employment is protected or guaranteed or that any other non-contractual obligations exist. It is why most employers ask employees to sign off on an employee handbook statement that states that written company documents offer guidelines, not a contract. Breach of covenant of good faith and fair dealings: the terminated employee can try to prove that their termination was unfair and that an employer did not fire him for good cause, in some states. It is extremely difficult to prove if an employer has kept even a modicum of documentation about an employee's performance problems and managerial counseling and coaching. Terminated employees will generally find that employment at will is the more significant deciding factor. Unlawful discrimination: employment discrimination is illegal. Former employees must file a suit with the Equal Employment Opportunity Commission (EEOC), and perhaps their state civil rights commission, before charging an employer in court. An employer protects their organization from such charges by practicing strict care to avoid employment discrimination or the appearance of employment discrimination, for any reason. For example, in a layoff situation, an employer must demonstrate non-discriminatory reasons for why each laid-off employee was selected. Laying off all members of an eliminated department, or laying off the 10% of all employees with the least seniority, may keep employers safe from discrimination charges. Employers should seek legal counsel at their first indication that a former employee intends to press some form of wrongful discharge contentions. It will normally occur either in conversation, emailed correspondence or with the failure of the former employee to accept and sign off on their employment termination agreement or severance package. Sometimes, however, an employer's first inkling of a problem occurs when a fact-finding package arrives from state or Federal discrimination agencies. Even if the employer is crystal certain that their handling of the employment termination was legal, ethical, and appropriate, legal counsel is more experienced in wrongful termination situations than the average employer. Seek counsel.